I'm a slave to my product. And I care about every millimeter. I care about every stitch. And that's really what motivates me to keep going. 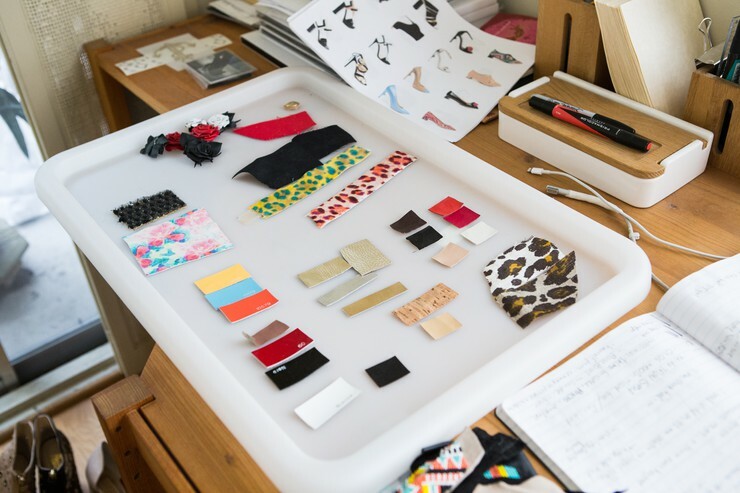 Jerome C. Rousseau is a footwear designer whose inspiration is deeply rooted in music. In fact, you might say he was somewhat obsessed with music, having grown up as part of the MTV generation in his native Quebec. In 1990, at age 12, Jerome saw the stunning video for Deee-Lite’s hit, “Groove is in the Heart,” and music instantly became an influential part of his life. 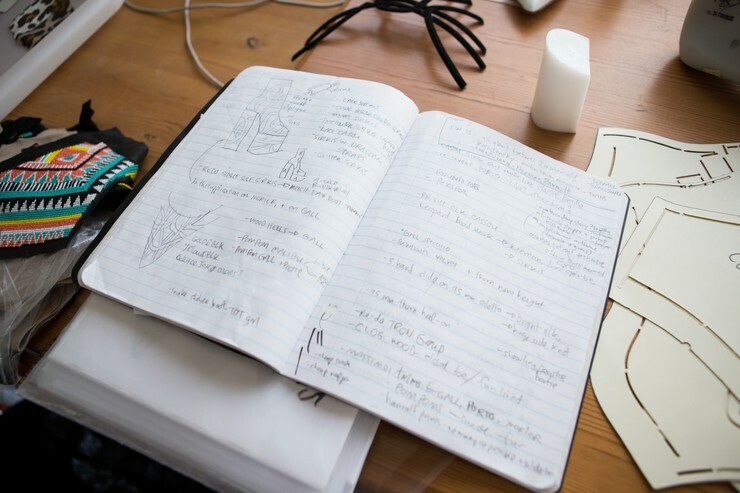 He was so moved by the video, he began sketching shoes. At first, he recreated the shoes from the video for his art class. But, soon he was drawing his own designs. While nurturing his fascination with footwear, Jerome came across a book on the history of shoes and fell deeper in love. In reading about how shoes have evolved, he realized they were never simply a functional item. “Right from the beginning, they became very symbolic in terms of status, in terms of ornamentation,” explains Jerome. His teenage shoe obsession and love of Britpop music made decisions about higher education easy. He moved to London to study footwear design at Cordwainers College, a school that specializes in footwear and accessory design. After graduation, he remained in the United Kingdom for about 10 years, and worked alongside Matthew Williamson, John Rocha and John Richmond. Today, more than a decade later, Jerome is still based in LA and has a fun, elegant footwear collection worn by celebrities and featured in fashion magazines worldwide. Jerome finds inspiration from a variety of sources. His collections are often inspired by strong women. “I like to design collections that are distinctive, that have a strong point of view—particularly a point of view that reflects the things that have inspired me,” he says. Whether he’s struck by the talent of French actress Roxane Mesquida, the music of Cyndi Lauper, Lady Kier, Elli Medeiros, or by new pop musician Coco Morier, Jerome is constantly drawn to eccentric characters with a strong sense of personal style. He might watch a performer and fall in love with her overall style or simply be inspired by the costume and colors she wore. “When you think of Cyndi Lauper, you don’t need to look at the shoes she was wearing to be inspired by what she created as an image … what she stood for as a woman, [and] to translate that into your design,” he says. Jerome’s creative process is instinctive. He doesn’t do research, per se. Instead, he gathers images from his travels, his love of music and by visiting galleries and museums. He stays open to what he sees out in the world and infuses his experiences into his work. 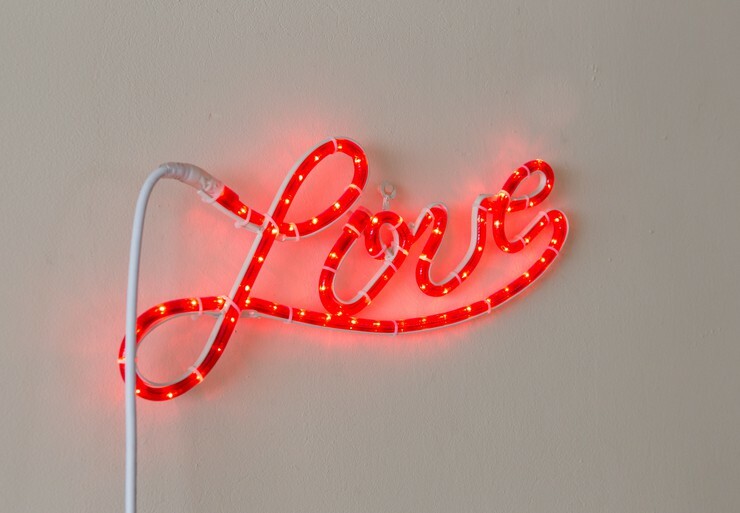 "I love neon signs and I love neon signs that say love." "Music inspires me. I love to create sounds on vintage keyboards. It’s a creative way for me to unwind and change my mind from the challenges of running my business." "The thorn heel has become a signature of my collection. It creates a distinctive silhouette on a simple pump or bootie. It’s interesting to explore the empty space between the heel and the sole, the arch created by high heels. I always saw it as a thorn stemming from the heel, however, my boyfriend noticed that the empty space it creates is reminiscent of the “R” from my label's logo. I was fascinated by the fact that I had not noticed that myself, even after I spent hours working on that shape." "I wear a version of the Chukka bootie (by Del Toro) almost every day. I own it in several fabrications: blue patent leather, white quilted leather, polka dot haircalf, leopard print… This pair was the first one I bought." "Malibu is a rescued parrot. She is still pretty traumatized from her past and requires some special attention to keep her calm and happy. She has become some sort of companion over the many years we have spent together. She’s hard work. We’ve learnt to respect each other’s boundaries and my house feels empty when she’s not around."